The key to Maryland crab cakes is not to over mix and shred the crab. Carefully check the crab meat for any cartilage. Gently squeeze any excess moisture out with a paper towel. Crush the saltine crackers very fine and mix with all the other ingredients. Gently fold in the crab. Only mix enough to combine ingredients. You don’t want to break up the crab into fine shreds. 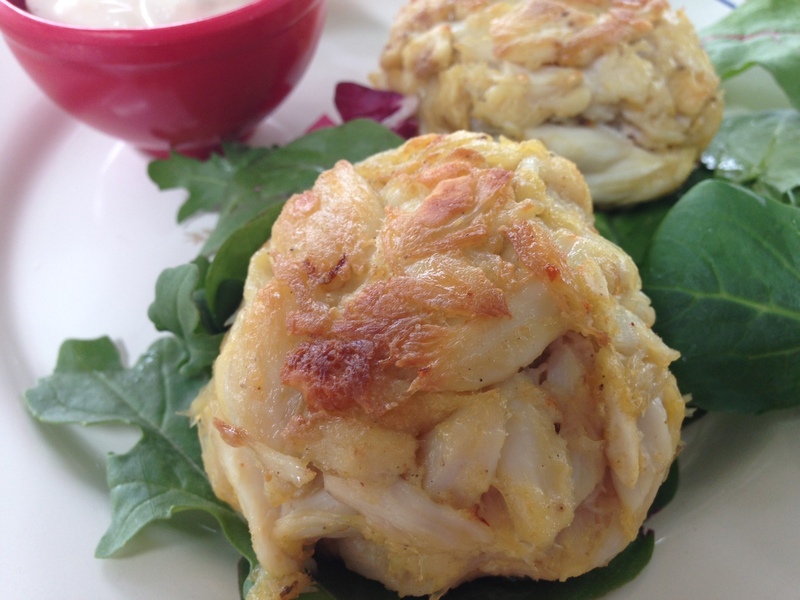 Shape into 4 crab cakes, and refrigerate for at least 1 hour. Heat about 2 tablespoons oil in a non-stick frying pan. Sauté until golden brown on each side, covering so they will be hot, serve or refrigerate until serving and then heat in 400 degree oven for about 5 minutes or until hot.